Take notes of server hardware. 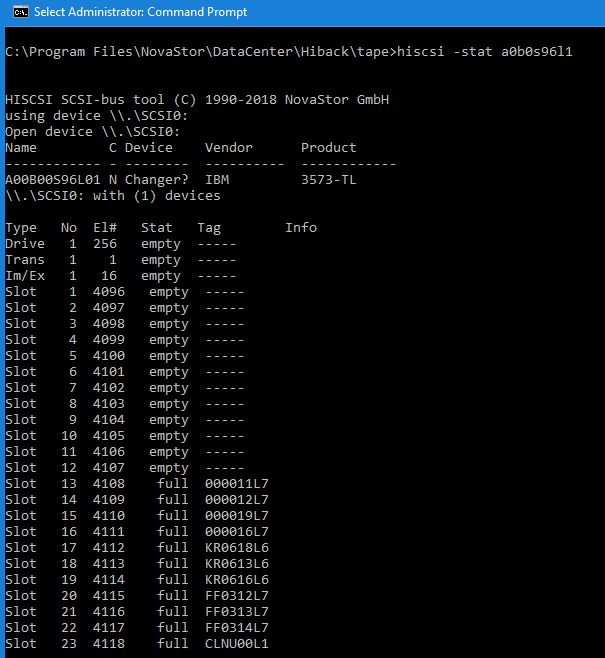 Drivers for iSCSI, HBA Adapters, Tape Devices. Disk Layout (mapped drives and space usage). 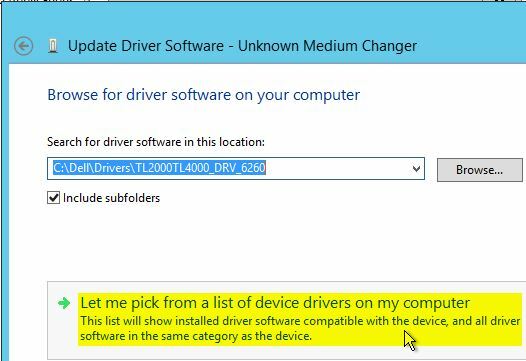 Take notes of devices in Device Manager. Take notes of server features. Which is on public/private domain? Create an image of the OS on the server. Please refer to the “Steps to build a successful BMR plan”. Prior shutting down the server. Perform the Exporting of the Tape drives. Log into the Command Server. Using the “Library” tab, export the tapes by right-clicking on one or more tapes, and selecting one of the following options. Offline Export – Use this to logically export a tape from the tape in the library (no mail slot, ready for removal). Mail Slot Export – Use this to export a tape to the mail slot for removal. If “Offline Export” is chosen, the cartridge will remain in the physical library slot unless physically removed. The tape will be listed as ‘Exported’ and will be located in the Offsite Location. If “Mail Slot Export” is chosen, the cartridge will be placed into one of the “Mail Slot” as shown in the image below. 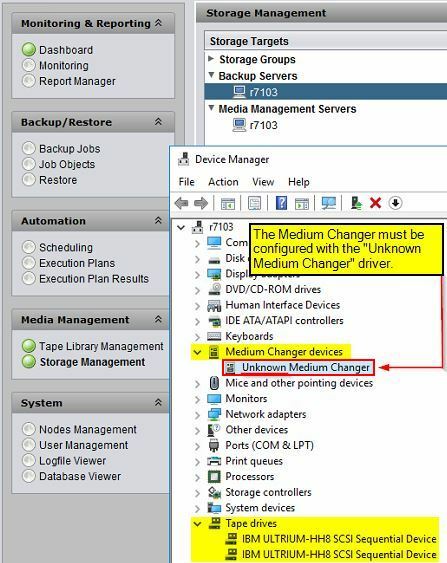 This will unlock the bay and issue a request to pull the bay from the changer. Insert the Server OS to be freshly installed or upgraded. Boot straight to the Media / USB or DVD. Perform the steps for a fresh install. If performing an upgrade, the operating system needs to be loaded first from the original boot media. Run the ‘Setup.exe’ from the bootable media. 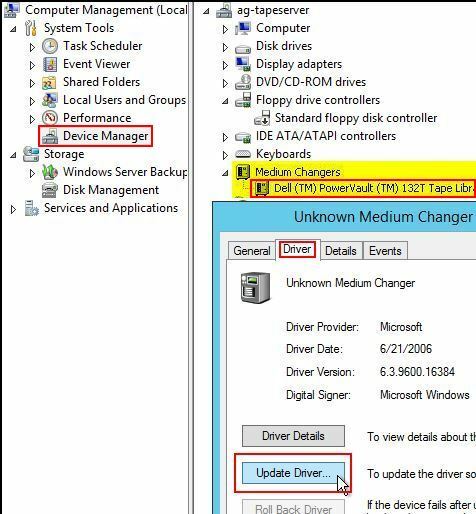 Follow the steps to perform an upgrade. Enter the Product Key for the new OS. Select the image to be installed, example is the OS + the Desktop Experience. Select “Keep personal files and apps”. After the Upgrade has been performed. Reboot the system to verify the upgrade completed. 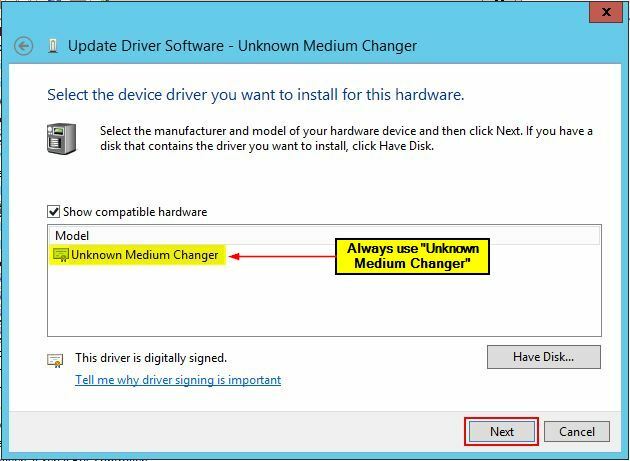 Verify all the drivers are not showing warnings within the Device Manager. 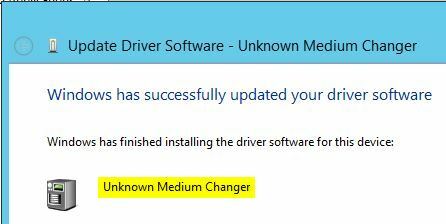 Go to Media Changer devices. If it shows any Branded devices. The system is now ready for the library to be configured in NovaStor. Make a Zipped copy version of the NovaStor folder. Uninstall NovaStor DataCenter from the server. Reinstall the client onto the server that has been upgraded. Copy the client executable to the server that was upgraded. Run the client installer and follow the steps to install. Be sure to enter the name of the command server within the steps to install. Unzip the library files from the “Zipped NovaStor” Directory to the New Directory. First go to services and STOP the current NBK DC services. Select the new NovaStor directory and Zip it as as “NovaStor_Old_Original”. Then take the previous zipped “NovaStor – Copy” and unzip it to “NovaStor”. Restart any NBK DC Service. Upon reinstalling NovaStor DataCenter, if the services do not correctly install (rarely ever happens), you may need to manually install the services. Launch an elevated command prompt (Administrator). Rename the services that were added to the services with “NBK DC <…>”. Once the server back online. Login as Local Administrator or as Domain account with Admin privileges. 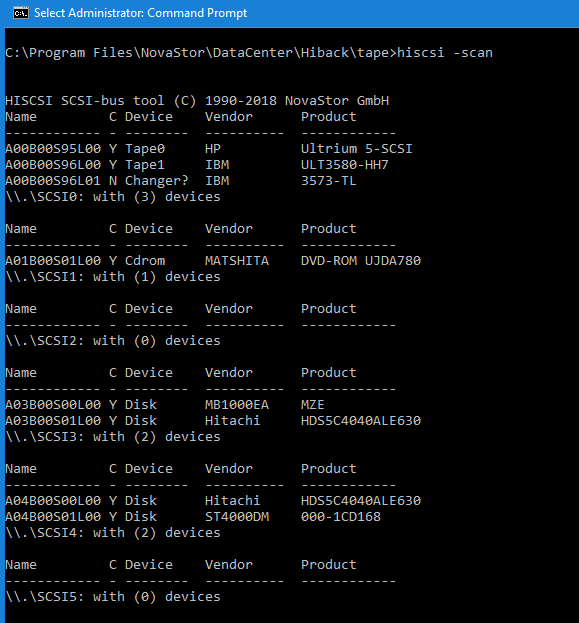 Set NBK DC Backup Servicer & Remote Command Executor to logon as the local administrator or domain administrator that already exists. Log onto the Command Server. 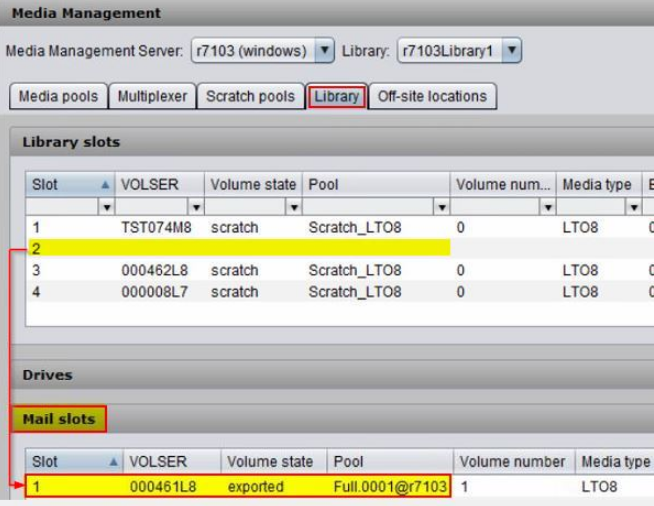 Select the Tape Server and ‘Right Click’ to Sync the node. 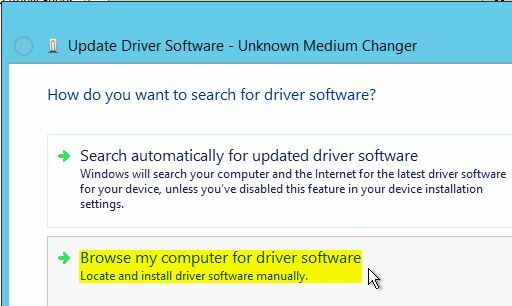 Verify the Versions of the OS and components to make sure they match the new system that the DC was installed on to replace the original system. Right click > Select Edit. Click Service Account and click Edit. Type in the information for Local Administrator. Verify the tape server is listed and all the devices are listed. If the tapes are showing inaccessible.